These two are so funny together. Zoe recently asked Ryan," Daddy, will you get me sword lessons?" I must explain, Ryan has recently gotten our little girl hooked on the TV show, Thundercats. And now she wants sword lessons. Sigh. 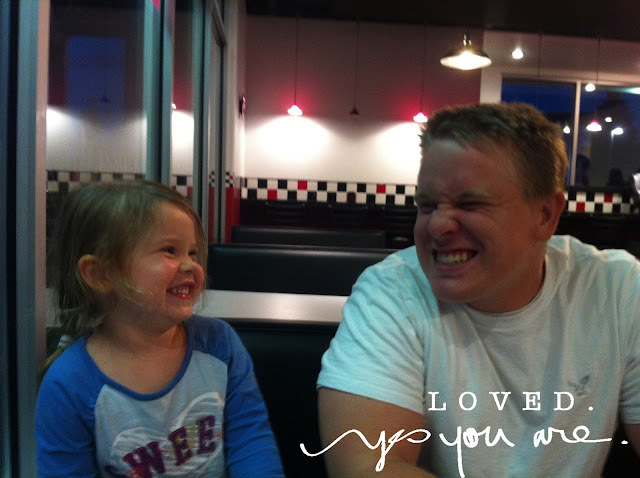 Zoe has also been asking opinions a lot lately, she'll say, " My favorite flavor of ice cream is vanilla, what's yours?" and if Ryan isn't home she always asks me, "...and what's Daddy's favorite?" In that first picture you can just see how much a like they are, their faces, their humor, I adore it. Last week, among the craziness, I got a chance to make this simple card. I am seriously digging this Amy Tan line from AC and I'm hoping she'll come out with another one soon. I loved all the circle stickers from the sticker book, and used my 1"& 2" punches and my regular hole punch to make the various sizes. 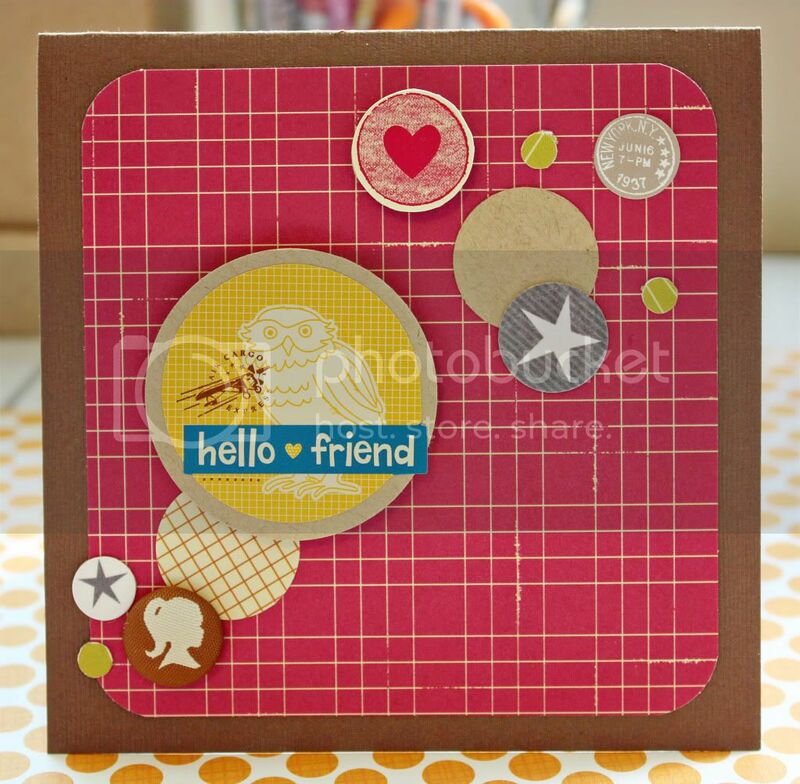 I'm anxiously awaiting a big box of scrappy stuff, so I'm planning some fun projects for the next few weeks. I adore that card Holly! And she is so sweet loving her daddy so much! I have 2 daddy's girls myself! Adorable card and FANTASTIC photos!!! such a cute card, and yes, they are pretty cute together. I LOVE that top photo of Zoe and Ryan. Like daughter, like father.